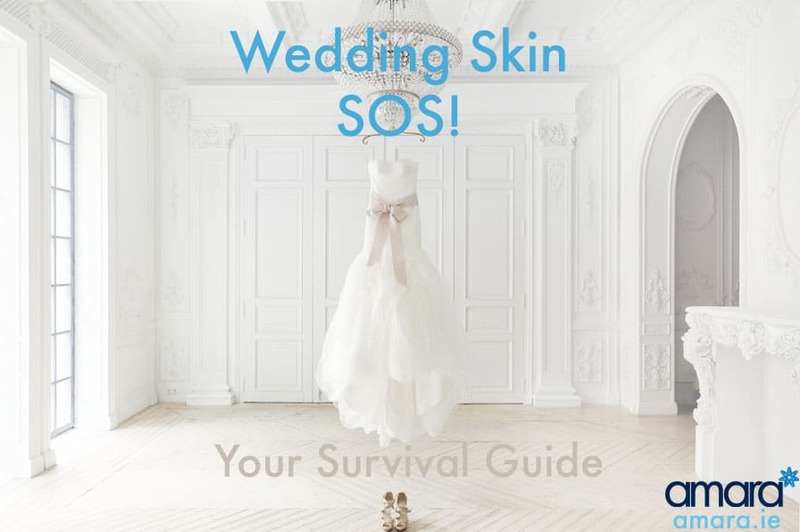 Many brides and grooms worry about their wedding diet but what about their Skin diet!? As with anything the earlier you start the better and typically we recommend a minimum of 6 months if you are not already following a skincare regimen. Lets see how you can get your best wedding glow (and photos of course!) . 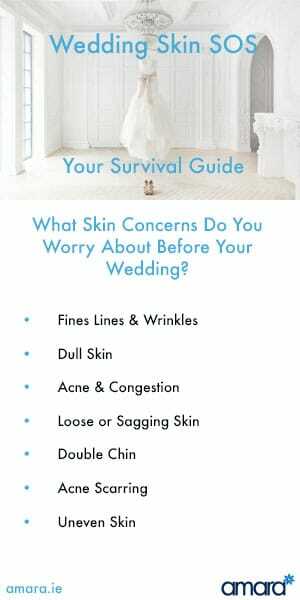 First off if you are trying to up your wedding skin game then a consultation is essential. A skin health therapist will completely analyse your skin and help you decide what treatments or product are best for the results you want. On your first consultation bring your usual skincare routine on your first consultation and our skin therapist will go through every step with you. Are you using the right skincare for the results you need? We’ll find out! Figure out what are your skin concerns. Is there anything you want to change? Botox is best for improving lines as well as preventing new ones! For crow’s Feet, frown lines, worry lines or smoker’s lines Botox is an effective treatment for removing fine lines or even reducing larger ones, making you look much fresher. Botox lasts 3-4 months – for brides who have never had it before we recommend trying it at least 6 months before the wedding. This way we will know exactly what you are happy with and will be mid treatment on the day! For sagging cheeks or a jowly face dermal filler can be injected into the cheeks and along the cheekbone to lift the face. Dermal filler can also be used to increase the volume or change the shape of the lips. Using the Rejuvapen microneedling device we can encourage the skin to repair itself and diminish fine lines. Micro Needling creates microchannels where we can add enriched serums to your skin to not only encourage it to heal but add nutrients and growth factors. If you’re concerned about a double chin in your wedding photos then there is a skin tightening and contouring treatment available. Using a mix of Radiofrequency and Ultrasound the Exilis Elite works to tone, tighten, sculpt as well as lessen fat. This takes a minimum of 4 treatments and each treatment must be done within 7 -14 days of each other. Take a look at our before and afters. We all want a glow in our skin but particularly for our wedding day! For the dewy look the HydraFacial MD is perfect for a deep clean of your skin. Depending on your skin condition this can be done as an irregular treatment or as a course. However we do recommend not trying anything new within one month of the big day. Acne is not just for teenagers! There is no age limit and many women suffer well into their 30’s or 40’s, particularly in times of stress (hello wedding!). For acne the most important thing is a good targeted skincare routine. ZO Skin Health & Medical contains high strength targeted products specifically for Acne and breakouts. A course of HydraFacial Treatments is perfect for tackling active breakouts. By combining Salicylic skin serums, peels and Blue LED light therapy we can kill the bacteria under the skin. This along with finding the source of your acne and a good skin care routine can stop the breakouts. Acne scarring is caused from improperly taking care of active acne, once we have your acne under control we can work on improving the scarring. A course of Rejuvapen microneedling is needed. Alternating Hydrafacials and Rejuvapen can be very effective for keeping your acne under control and at the same time improving your overall skin condition. If Acne is your main concern then our Clear Skin Package is your best option! If you are looking for more than one treatment that is not a problem! At your first skin analysis we can plan out your skin plan up until the big – addressing any concerns and then maintaining your skin after. Many of our treatments can be bought in packages with payment plans (weddings are expensive!). Are you interested in starting your skin health journey? Contact us now to find out more!